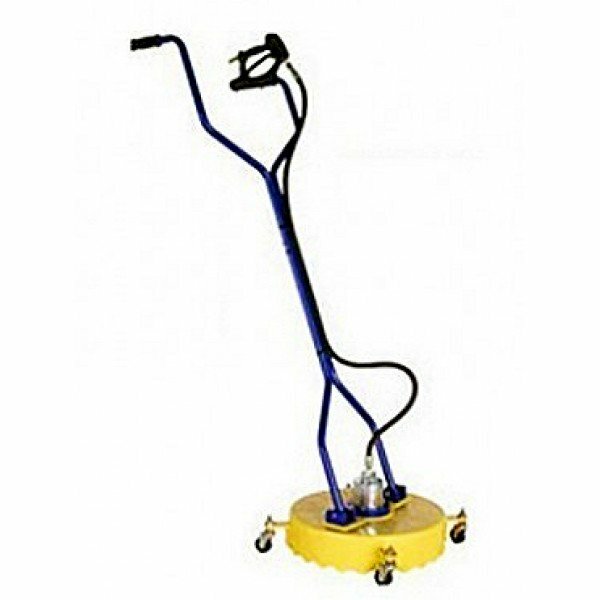 QUALITY HEAVY DUTY ITEM , DESIGNED FOR EVERYDAY COMMERCIAL USE. 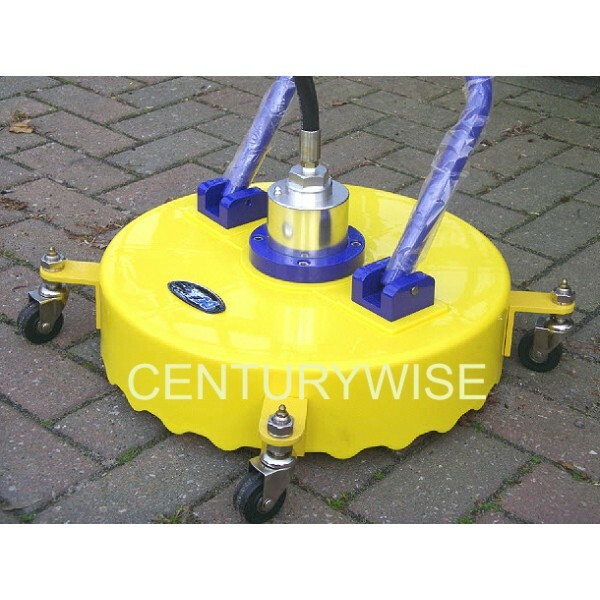 20" DIAMETER, POLYPROPYLENE COVER, WITH TWIN CLEANING ARMS - 2 NOZZLES ....... MUCH FASTER THAN CONVENTIONAL JETTING LANCE. JUST CONNECT TO YOUR WASHER, AND AWAY YOU GO. 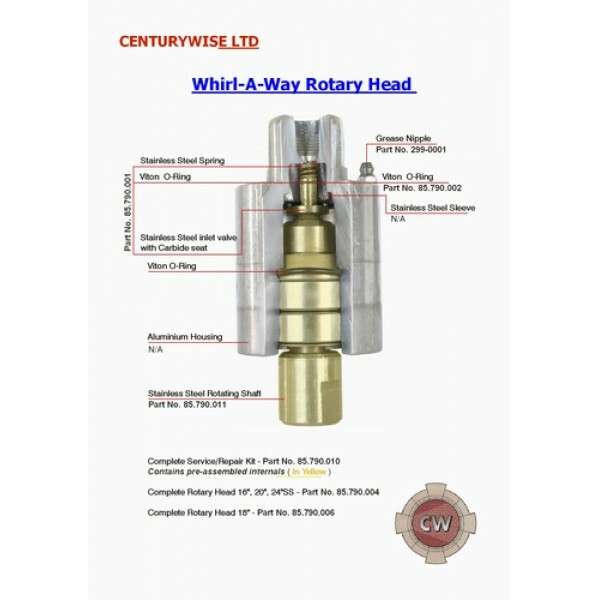 WORKS BEST WITH WASHER PUMPS RATED FROM 1500 PSI (100 BAR) TO 4000 PSI (275 BAR), WITH WATER OUTPUT FROM 11 TO 30 LITRES PER MINUTE. 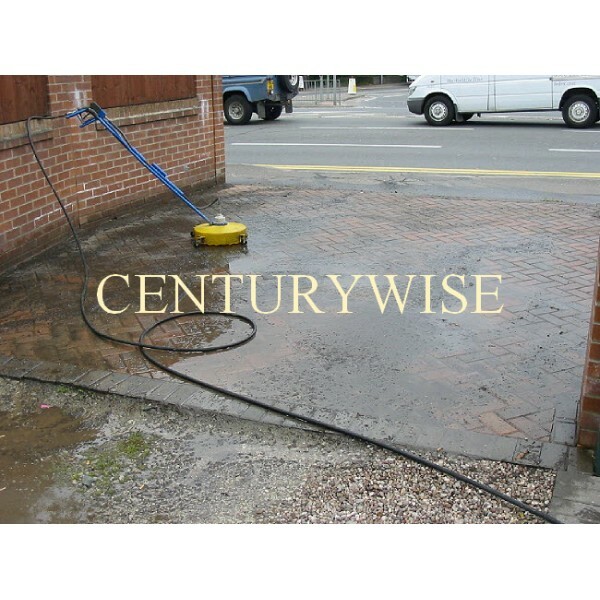 CLEAN DRIVEWAYS, PATIOS, CAR PARKS, PLAYGROUNDS, TENNIS COURTS etc., QUICKLY AND PROFESSIONALLY. FAR QUICKER THAN USING A CONVENTIONAL LANCE. 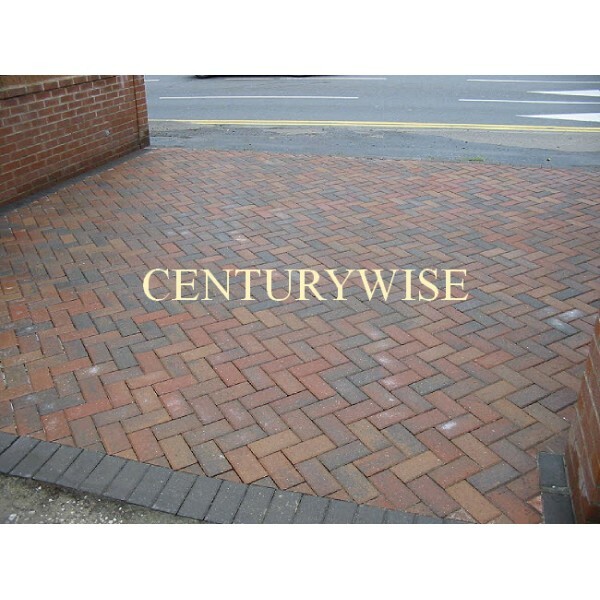 ESPECIALLY GOOD FOR CLEANING BLOCK PAVING. Consists of a Heavy Duty Polypropylene Cover, Rotary Head, Double nozzle rotary arm.